I used to love opening up Advent calendars with my brothers. My holiday flavored narcissism was thrilled to receive a chocolate goodie for 25 days straight leading up to the big Christmas extravaganza at my house. Christmas is really about giving, though, as so many of my students whose family's budgets can't afford extravagance this year know better than I did at their tender age. 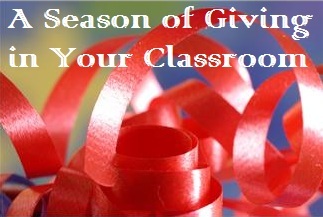 So, why not create a classroom Advent calendar of giving? Each day have the students open up an envelope with an idea of how to give that day. Or, since most of you will only see your students for 12 more days before the break, pick out your favorite and use them in a count down to break. 1) Give a smile--say something nice to someone. Encourage them. 2) Make a Christmas card for someone in a nursing home. 3) Make a Christmas tree and deliver it to someone who doesn't have one. 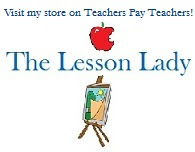 4) Make coupons for the students' families that give away special chores, hugs, back rubs, etc to loved ones. 5) Go read books to a younger group of students in the school. 6) Leave a plate of cookies for the janitor when he/she comes in to clean up at night. 7) Write letters to soldier and mail them overseas. 8) Collect canned goods for a food pantry. 9) Have students bring in new stuffed animals. Write a note that goes with each animal and deliver them to the pediatrics ward of a hospital just before Christmas. 10) Assign students to commit a random act of kindness for someone, journal about it and report back with the class. 11) Go caroling through the school. 12) Create Christmas decorations and decorate the school to spread a little cheer. 13) Make bake-less cookies as a class and deliver goodie bags to the staff. 14) Bring in change and put it in a jar. Donate it to a local shelter. 15) Have your students make an ornament, wrap it up and bring the ornament home as an early Christmas present for their parents. 16) Take your class outside to clean up the school grounds, weather permitting. 17) Have students create flyers for a local animal shelter and put them up around town to promote animal adoption. 18) Have students organize a special after school activity for students who stay late. 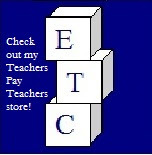 19) Have students sign up to tutor younger students. 20) Have students make friendship bracelets and exchange them. 22) Have students write a pledge for how they can help make the school a better place. 23) Collect used but clean scarves, jackets, hats and mittens to donate to a local shelter. 24) Throw a party for the staff in the teacher's lounge. Have students bring/make sweet treats. Happy Holidays from One Less Headache!